Vodafone has released its trading update for the quarter ended June 30, 2018. Speaking of Vodafone India, the company has revealed that its total customer base declined by 3 million quarter-on-quarter, reflecting the ‘SIM consolidation’ trend across the market, and now totals 219.7 million. However, Vodafone stated that the number of data users has continued to increase. The telco now has 77 million data users, out of which 30.9 million are 4G data users. Vodafone also confirmed that it added 4900 4G sites during the quarter. Consequently, Vodafone confirmed that it retained high-value customers albeit at lower price levels, with contract ARPU declining by 20% and prepaid ARPU by 28% in the quarter. “This pricing pressure was mitigated as customers consolidated spending onto a single-SIM following the increased penetration of ‘unlimited’ offers, which have now been adopted by 29% of our prepaid customer base,” said Vodafone. The service revenue of Vodafone India declined by 22.3%, reflecting cuts to both domestic and international mobile termination rates (MTR) in prior quarters and ongoing price competition with the new entrant Reliance Jio. Excluding the impact of MTR cuts, the service revenue declined by 9.6% on a sequential basis, local currency revenue excluding MTRs declined 0.2% quarter-on-quarter, as prepaid bundle prices remained broadly stable during the quarter. Data traffic on Vodafone network grew by 57% during Q1 FY19, and of course, data traffic in India quadrupled following a steep decline in data prices. In India, Vodafone users are consuming 4.6GB data on average every month. “Our network investments have created a strong platform to capture this data demand, and we continue to have the leading or co-leading network NPS scores in 14 out of 20 markets including India,” stated Vodafone. Furthermore, Vodafone is expecting that its merger with Idea Cellular will be completed by the end of August. “In July we received conditional regulatory approval from the Department of Telecoms (DoT) for the merger of Vodafone India with Idea Cellular. On behalf of the future merged entity, Idea has subsequently paid spectrum liberalisation fees of €0.5 billion and has also provided a bank guarantee to cover certain disputed demands which are the subject of ongoing court cases. 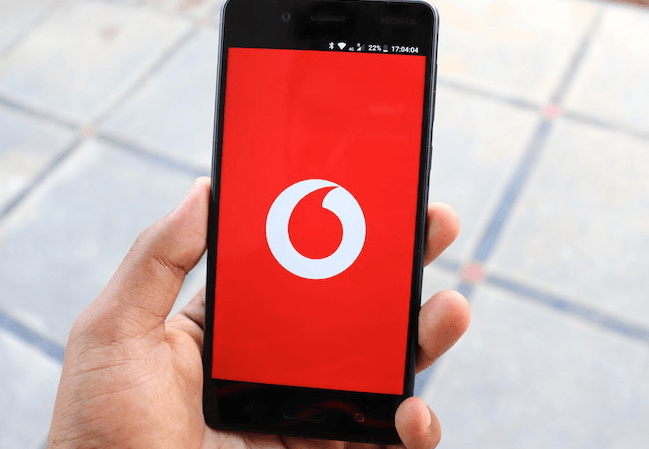 Our target is to close the merger before the end of August, enabling us to make a fast start on capturing substantial cost synergies,” said Vodafone in a press statement. “In India, where competition remains intense, we have now received conditional approval from the Department of Telecoms for the merger of Vodafone India and Idea Cellular, which we aim to close before the end of August, allowing us to unlock substantial synergies. The Group’s overall performance (including good progress in reducing absolute operating costs for the third year running) provides us with the confidence to reiterate our outlook for the year,” commented, Vittorio Colao, Vodafone Group Chief Executive. The country’ second largest telecom service provider is also said to be making good progress in securing the necessary regulatory approvals for the announced merger of Indus Towers into Bharti Infratel. Earlier in July, the proposed merger received approval from the Competition Commission of India (CCI) and SEBI. Vodafone is expecting the merger will be closed before the end of March 2019.
they are deliberately reducing subscribers to get the merger affected since within one year they should have 50 % subscribers. airtel also has to done for bihar and up east i think.